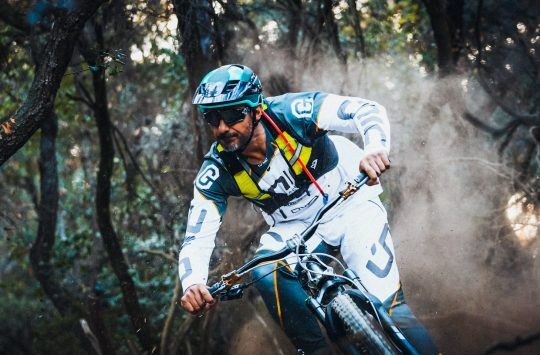 Canadian brand, Norco Bicycles, has just announced a brand new 2019 mountain bike called the Bigfoot VLT. 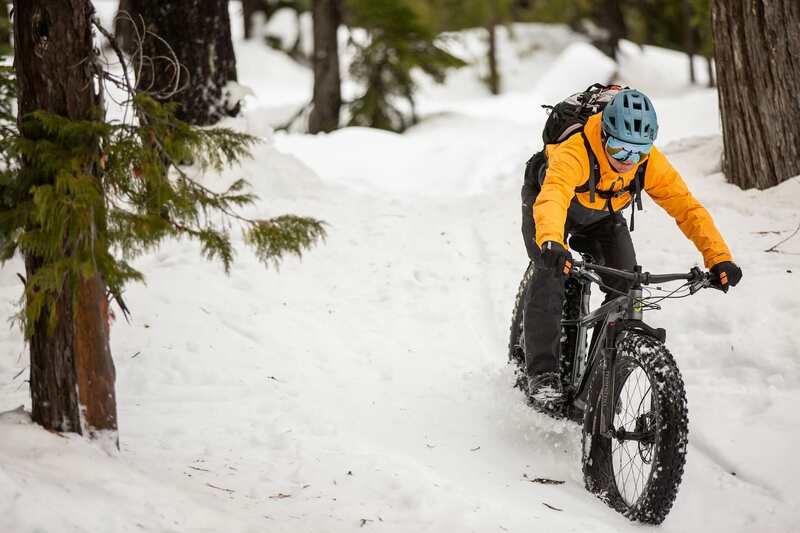 Building off the existing Bigfoot platform – a properly rotund all-terrain fat bike with 26×4.8in monster truck tyres – the Bigfoot VLT takes a similar approach, but throws a powerful Shimano STEPS motor and battery inside the downtube. For anyone who’s ridden a proper fat bike on proper snow (spoiler alert: it’s really hard), you’ll be able to appreciate exactly what that means for the go-anywhere abilities of a fatty like this one. The Bigfoot VLT is Norco’s second e-MTB, after the Sight VLT. Norco says it gave the Bigfoot VLT proper mountain bike handling to get shreddy on the descents. Clearance on that front tyre and fork crown though – yikes! 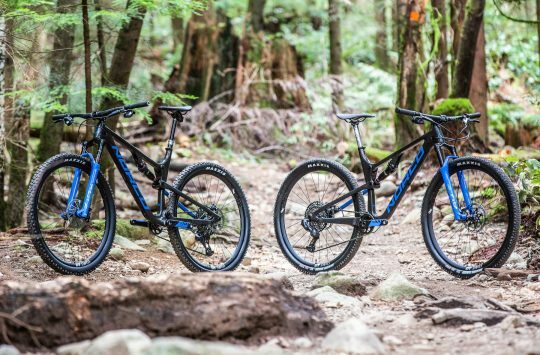 There will be two Bigfoot VLT models for 2019, and they’ll both feature the same frame. The VLT 2 however, will come with a rigid fork and a slightly less powerful Shimano STEPS E7000 motor and a smaller 500Wh battery pack. With a 68° head angle, generous reach measurements (up to 500mm! 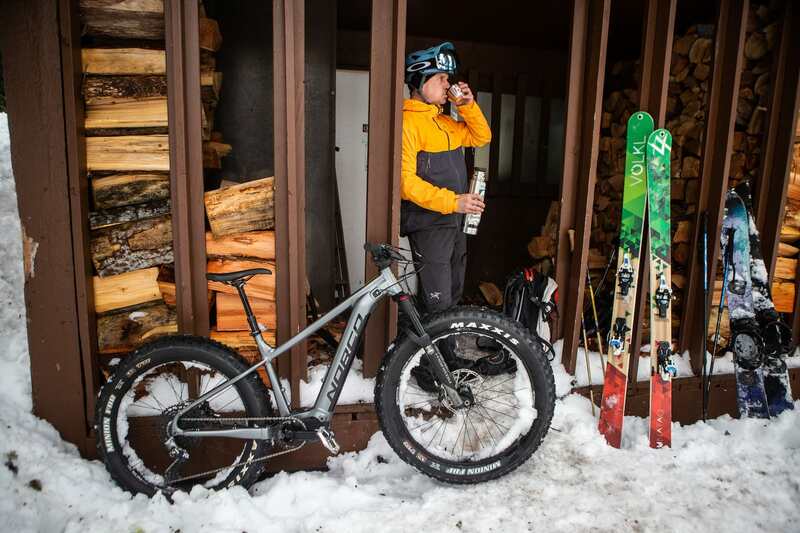 ), and a hefty 60mm BB drop, the Bigfoot VLT is pretty contemporary when it comes to fat bike geometry. 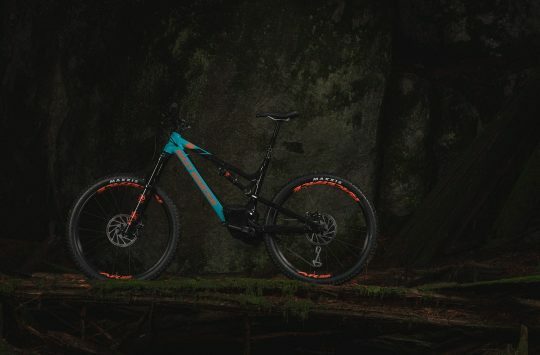 All sizes feature wide riser bars and a 50mm long stem, and both spec levels will come with a dropper post, 4-piston brakes, and big 200mm brake rotors front & rear to ensure the Bigfoot VLT can let it all hang loose on the descents. For accessing those descents in the first place, the Bigfoot VLT is equipped with a 455mm rear centre length and a steep 75° seat angle to facilitate an efficient climbing position. 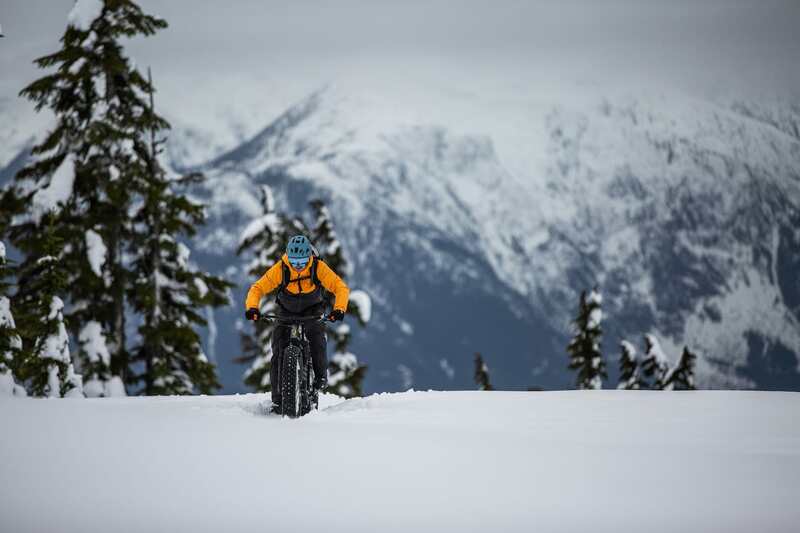 Factor in the extra power from the Shimano STEPS motor, and climbing on snow is likely to be a lot less awful on the Bigfoot VLT. The higher spec Bigfoot VLT 1 comes with a Manitou Mastodon Pro fork. Same alloy frame, but the Bigfoot VLT 2 runs a rigid fork and Shimano STEPS E7000 driveline. That looks like hard work. 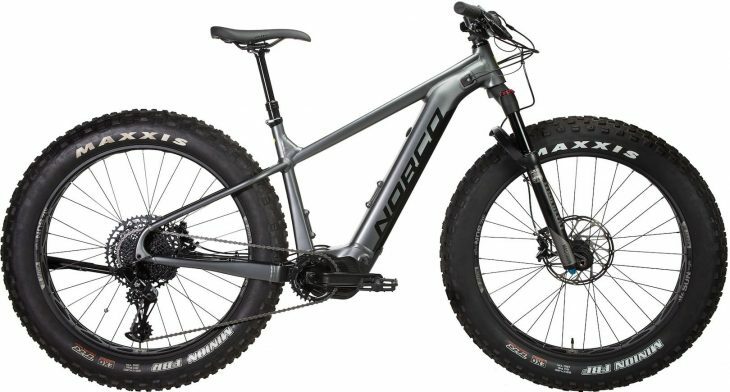 So a fat e-MTB; is that a creation that you’d prefer didn’t exist? Or is this welcome news to the fat bikers out there who want to cover more ground per ride? 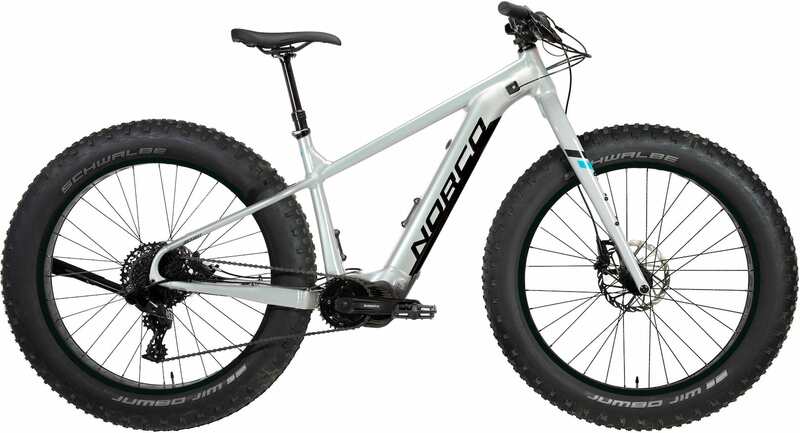 Tell us your thoughts on the Norco Bigfoot VLT in the comments section below! And if you wanna know more about this snow-plough, head to the Bigfoot VLT landing page here. My favourite quote from that story is this one; “KTM’s Macina Freeze makes your blood melt of joy once you get to really know it”. Now that sounds appealing! I’d have one in a heartbeat. I’d buy the better speccd motor and and stick a rigid fork on it though. Anyone got some feedback about the Minion FBF’s and FBR’s? Are people using these to illegally win races? I have 3 Mtb’s including an ebike and ride them all depending on who’s out and where we go, this fat bike looks great to me if thats what you want. If it gets you on two whels its got to be good.